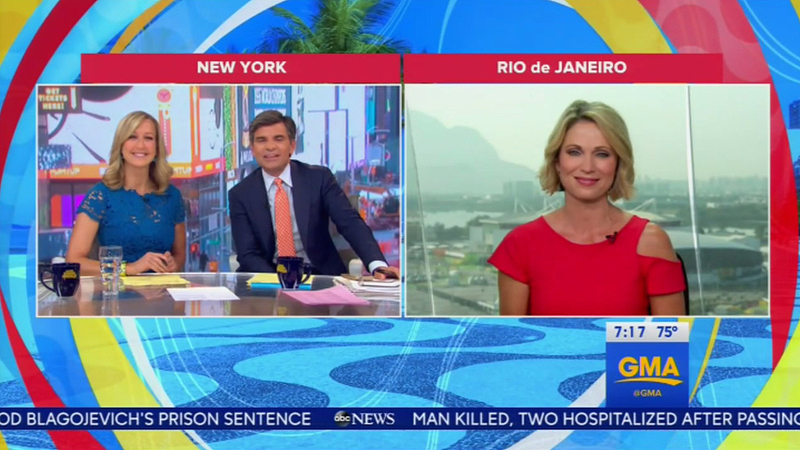 U.S. morning shows “Today” and “Good Morning America” are both sporting a fresh set of graphics for coverage of the 2016 Olympics in Rio. 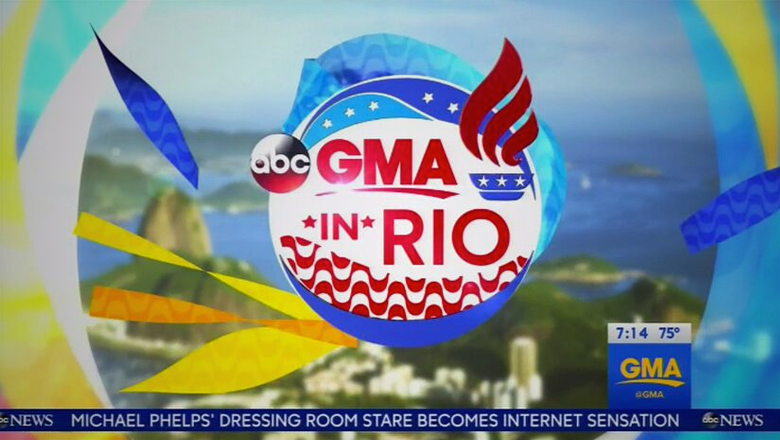 “GMA,” which is originating primarily from its Times Square studios, has a special open for its Olympics segments, which focuses heavily around colorful organic rings, swirls and stars. 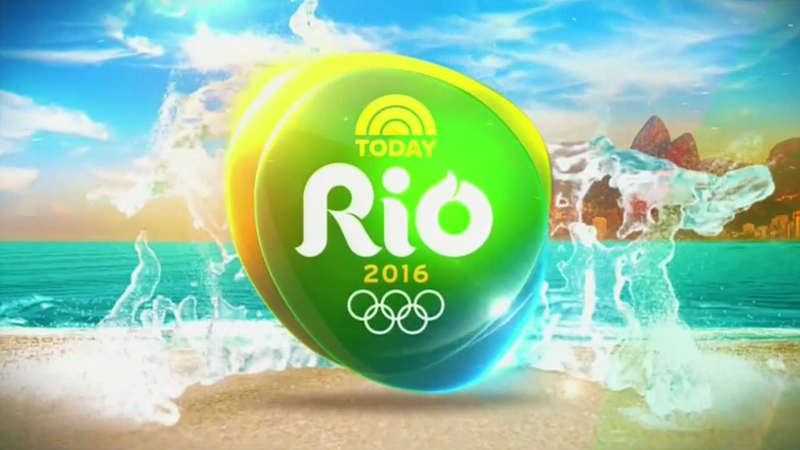 The show’s Olympics logo includes a base shape of a globe (likely a reference to both the network’s own logo and the international nature of the games), but also adds on some irregular shapes that, interestingly, make it look a bit like the pebble rival NBC is using as its officially-sanctioned broadcast logo. 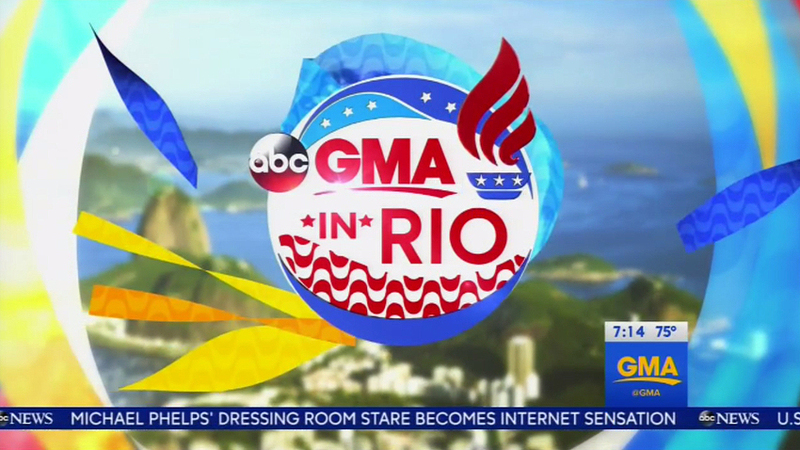 The color scheme, meanwhile, focuses heavily on red, white and blue, with some oranges and yellows mixed in. 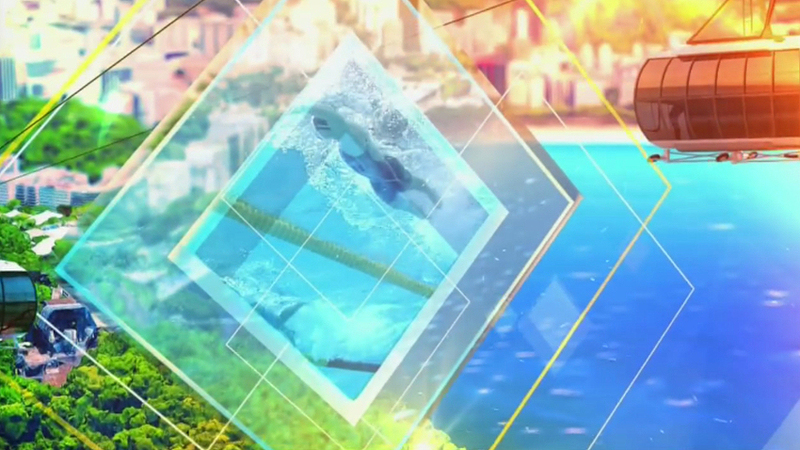 Those organic rings continue throughout the look and also continue to draw some visual connections to the pebble shape. 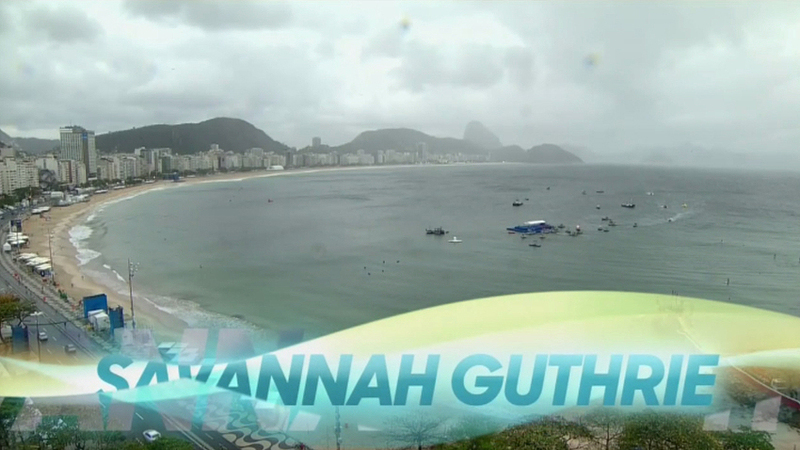 Over at NBC, which, as the official U.S. broadcast rights holder of the games, is originating from Rio de Janeiro — though anchor Savannah Guthrie, who opted out of traveling due to Zika concerns, remains back in New York, anchoring her portions of the show from the network’s freshly renovated fourth floor newsroom. 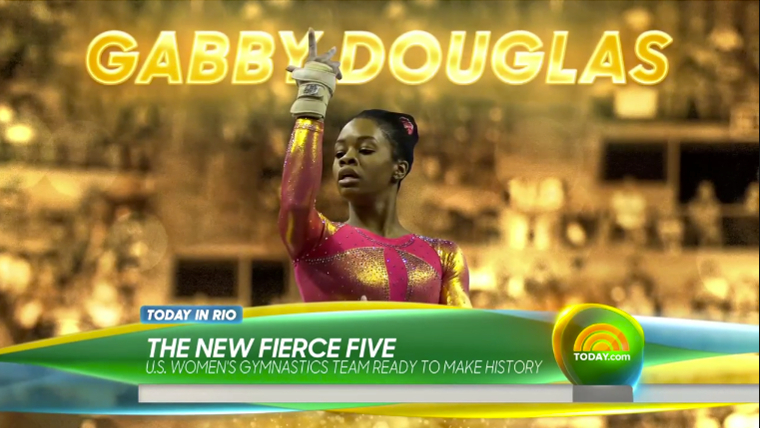 For “Today,” NBC focuses on a diamond-shaped motif that mixes in stylized video and animations of athlete, venues and Rio. 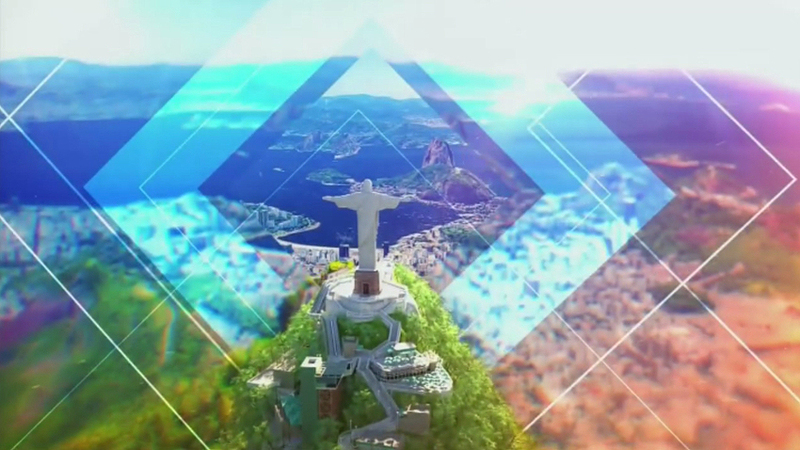 That diamond shape, likely inspired by the Brazilian flag’s yellow field, is used as both a central framing element as well as accents. 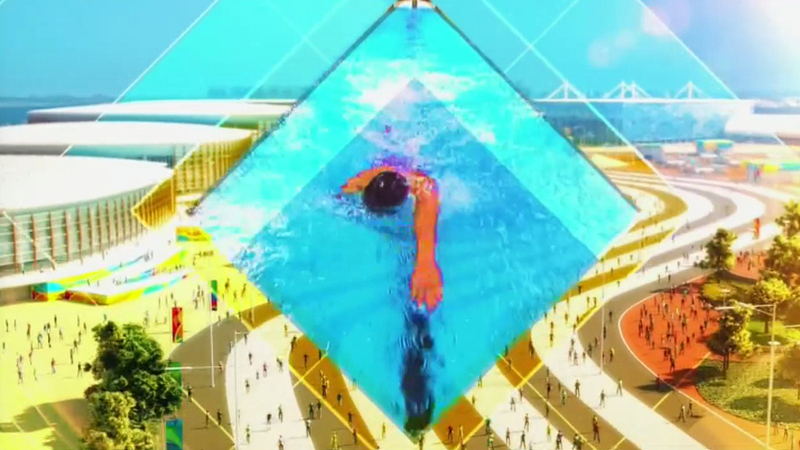 In some ways, it’s an interesting connection to the triangles and sharp angles used at the Sochi games, which heavily used the diamond shape in its icy look. 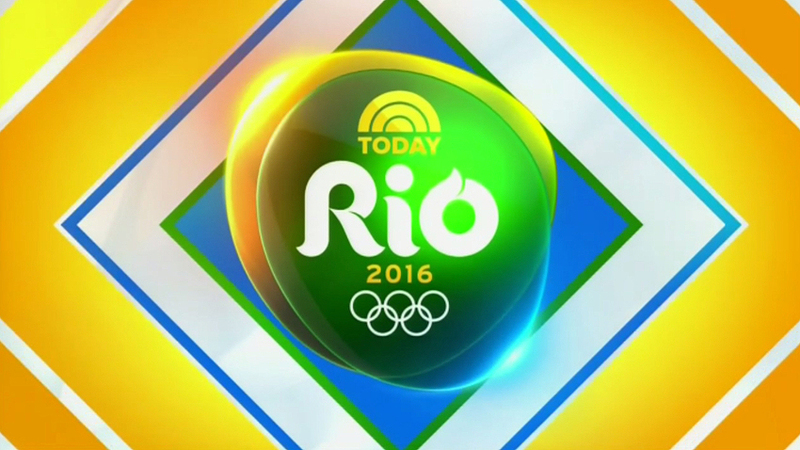 The straight lines found in the diamond are also an interesting choice given that the “Today Show” logo is more of a curved look, so there could have been some strong visual connections there. 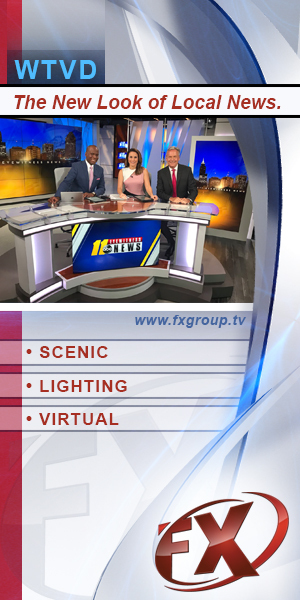 The wavy curves, however, do make an appearance in the package, including in the date and anchor names as well as the lower thirds, which are notably missing any diamond patterns. 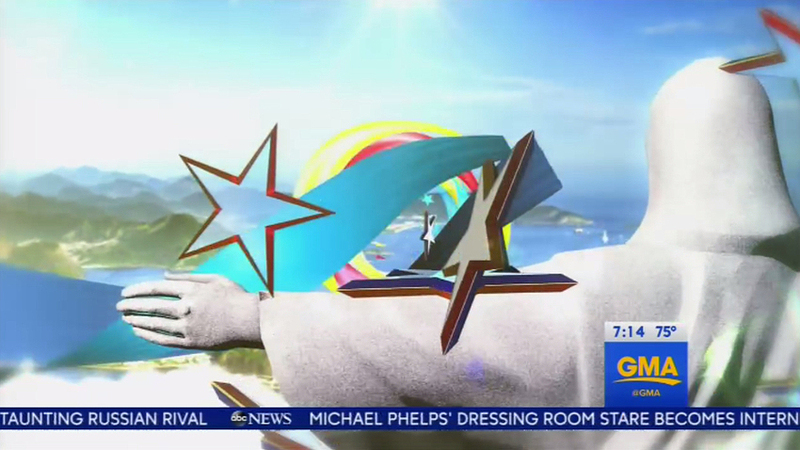 NBC also parked the pebble logo in the lower right of the screen for its bug. 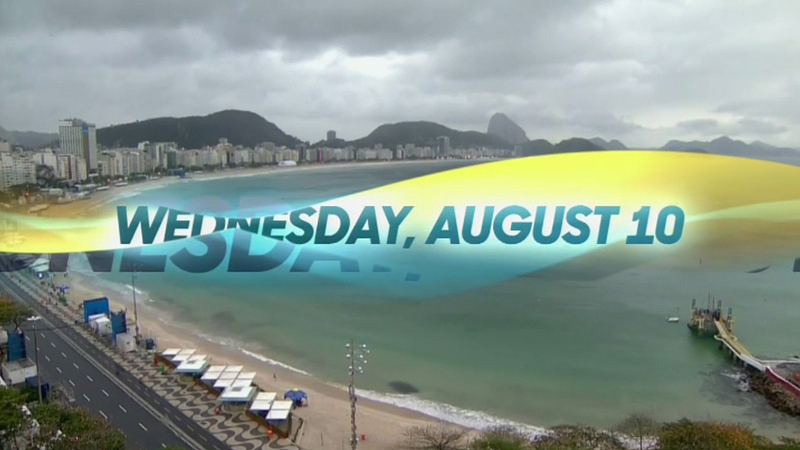 Studio wise, “Today” is using its temporary Olympics studio that first debuted in Athens, giving them an indoor/outdoor setup for broadcasts. The Lighting Design Group’s Brian McRae handled lighting design, with gaffer Nick Dale and electricians Leon Virgo and Ziggy Wyburn-Jacobs.